1. Have you seen the If I Stay movie trailer? Oh my gosh… it is so incredibly perfect. Exactly what I was hoping for. Seriously. #AllTheFeels. If I Stay is one of my most beloved books (it’s the novel that made me want to write contemporary young adult) and I have Very Strong Opinions regarding book-to-movie adaptations, especially when it comes to YA, and especially when it comes to books I love. Please, please, please let the movie live up the the trailer’s amazingness. 2. Yesterday I Rocked the Drop, and it was awesome. My girl and I dropped three books (Jellicoe Road, The Sky is Everywhere, and If I Stay — three of my favorite contemporaries) around our town. Here’s hoping three book-loving teens find them and adore the stories as much as I do. 3. Oh, hey, I wrote some new words. I have an inkling of an idea for a sequel to another of my finished manuscripts, and I started tinkering it with it the other day. I know that sounds ridiculous (why start a sequel to a book that hasn’t sold yet? ), but I’ve got these scenes in my head and they’re inspiring me (keeping me up at night, actually) and I figure… Might as well write them and get them out of my system. Problem is, the more I write, the more ideas I have, and the more inspired I feel. A real story’s starting to take shape, which is exciting, but also scary. I can write this story, invest months and months of my life in it, but there’s a chance it’ll never go anywhere; it can’t stand alone without its predecessor. But, words are words and practice is practice, right? I’m pretty sure it’s okay to write what’s inspiring, and to occasionally let go worries of whether or not a story will sell. What do you think? How much time do you spend writing only for the pure joy of it? 4. Along with Open Road Summer (adorable! 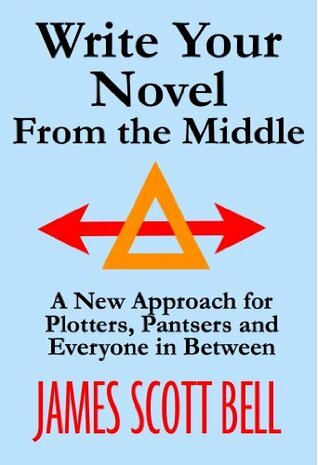 ), I’m reading James Scott Bell’s Write Your Novel From the Middle, which is pretty brilliant so far. It’s all about finding your story’s “heart and heat,” which is most often at its middle. James Scott Bell says some smart things about novel structure, but I’m even more taken by his thoughts on voice. He says, When an author is joyous in the telling, it pulses through the words. When you read a Ray Bradbury, for instance, you sense his joy. He was in love with words and his own imagination, and it showed. This, I think, is what’s at the the core of that unteachable thing we call voice. If you’re looking for a fresh take on novel structuring (plotter or a pantser), this is definitely a book worth checking out. 1. Have you heard about the Jan Plan? It’s my friend Christa Desir‘s idea, and it’s very simple: Finish a project in January. Any project. At your pace, in your time, for your own benefit. Originally, I’d planned to finish the first draft of my NaNo WiP, but I just got at editorial letter from Super Agent Victoria (yay!) and I’ve decided that the project I’ll complete this month will be a revision of Cross My Heart. Nothing too crazy needs to be changed, but Victoria has given me some awesome ideas for upping the tension and tightening the pacing in the first half of the story. I’m all in. I hope to have Cross My Heart submission-ready before February. And when I do, I’ll tackle my NaNo Wip. 2. I’ve read some amazing books lately. Days of Blood and Starlight by Laini Taylor, which I mentioned during the YA Superlatives Blogfest but never officially reviewed (it’s disturbing and gorgeous and heartbreaking – read it! ), and Graffiti Moon by Cath Crowley, which is captivating and romantic and gritty, not to mention beautifully written (thanks for the recommendation, Tracey!). Currently, I’m reading Seraphina by Rachel Hartman. While dragons aren’t usually my thing, so far I’m enamored by this book’s unique concept and incredible world building. 3. Speaking of books, I’ve got some highly anticipated novels in my very near future. I’ve preordered Shades of Earth by Beth Revis, Through the Ever Night by Veronica Rossi, and Just One Day by Gayle Forman (one of my literary heroes!). Plus, I’ve recently been told that The Age of Miracles and The Sweeter Side of Amy’s Bread (a pastry cookbook!) are must reads. Thanks for the recommendations Erin and Jess! 4. I signed up for the Debut Author Challenge! I haven’t signed up in previous years, but I always do my best to support new authors. Often debut releases end up being some of my favorites. 2013 is a huge year for debuts, seeing as how some of my friends have their first books coming out: Erin Bowman, Christa Desir, Ann Rought, Amie Kaufman, and Cristin Terrill, to name a few. 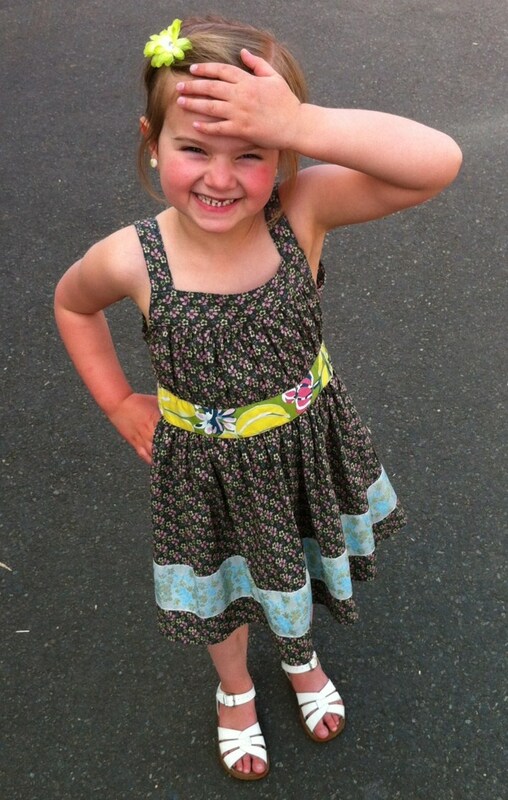 My girlie fed ostrich, and I let a bird land on my head. Yes. Oh, and this happened. Don’t forget to be awesome! Tell me: What’s new with you? Are you participating in the Jan Plan? What are you reading these days? Aah, Friday… How I ♥ you! 1. I’ve been doing lots of fall-inspired baking lately. Last week I whipped up the best apple cobbler EVER using Fiji apples my girlie and I picked at a local orchard. And yesterday I made pumpkin fudge, my first attempt at legit candy using a candy thermometer. I think Jillian would be proud! 2. I’m officially signed up for NaNo (my profile is HERE — let’s be writing buddies :)), and my story idea (read: PLOT — characters are easy!) is starting to take shape. Thank you, long morning runs! Next week I’m going to attend a meet-and-greet with locals who are also NaNo-ing. I’m very excited to meet some California-based writers, and to dive in to my new project. Yay for National Novel Writing Month! 3. We’ve been having a stretch of gorgeous weather here in Central California, and I am in heaven. I love sun and warmth and tan lines and afternoons at the beach. Last Sunday my family and I had one of those perfect Indian Summer days, one we spent kayaking and fishing and picnicking at a nearby lake. We capped it off with terrible-for-you pizza at a dive just off the highway. It was fantastic. As you may know, I’ve been working feverishly on a revision. And by feverishly, I mean I’m sitting in front of my laptop whenever a I have a quiet minute. When I’m NOT working (I have a family that, while fantastic, demands a fair amount of my time), I’m mentally obsessing about when I’ll be back at my computer, typing away. Honestly, I was starting to get a little burnt out on my revision. My motivation was lagging and my creative inspiration was drained almost dry. Yesterday was a very busy day. I was up at 4:30am and didn’t go to bed until after 10pm. I didn’t actively revise AT ALL. That’s a rarity, and all day I was feeling distantly guilty and a little bitter about my lack of time to work. I just want to finish this revision, you know? But… yesterday was a really good day. 1. I had an excellent run, and was home before the sun came up. 2. I got to volunteer in my girlie’s kindergarten classroom. I got to spend time painting with adorable five-year-olds who told me sweet stories about their families and their favorite colors and the things they like most about school. 3. I had brunch at a very tasty restaurant with a very good friend. The girl talk was much needed and much appreciated! 4. I completed my first ever Bikram Yoga class. That’s twenty-six postures in ninety minutes in a one-hundred-five degree room. It was so freaking hard, yet I can’t wait to go back! 5. And, I found my first ever four leaf clover! Moral of the story? Sometimes a day free of outlining/writing/revising can be a GOOD THING. While part of me wishes I’d made some progress on my WiP yesterday, a bigger part of me is grateful for the break. I feel refreshed and inspired and motivated, ready to tackle revising again today. Tell Me: How often do you take a day off from writing? What do you do to reclaim your creative inspiration? So… My family and I are on the road, headed to California with all our worldly possessions. First, though, a detour to Cannon Beach, one of my very favorite cities. Can’t wait for some fun on the beach! So? What’s funny in your world these days? So… I had a few minor issues with movie (no book-to-film adaptation is perfect, of course), but overall, I was a fan. A BIG fan. Its mood, its message, its unavoidable representation of all things YA lit — all wonderfully executed. 5. The Overall Appearance of the Film (costumes, sets, Seneca Crane’s beard…) – The gray disparity of District 12 contrasted with the garish spectacle of the Capitol spoke volumes. The arena’s forests, the tracker-jackers, the tributes’ gear — it was all spot on. So much of what I pictured while reading The Hunger Games two years ago appeared, nearly identically, on-screen. This, as a reader and viewer and fan, was incredibly satisfying. 4. The Add-Ins (or, things we didn’t get to “see” while reading) – I found the behind-the-scenes (and highly calculated) game-making fascinating, and the District 11 riot was absolutely chilling. Thanks to Katniss’ first-person narration, neither of these aspects were explicitly described in the book (we can safely assume they happened, at least in some capacity), yet they turned out to be two of my favorite bits of the movie. 3. The Acting (Woody Harrelson, Stanely Tucci, Lenny Kravitz, Amandla Stenberg, specifically) – While Liam Hemsworth is pretty, I could have done without his empty stares and choppy dialogue, but the majority of the cast… Yowza! I was in awe of the way they grabbed hold of their roles and perfectly personified their characters, often above and beyond my (admittedly high) expectations. For me, the performances of the actors and actresses in supporting roles are what truly brought the movie to life. 2. The Reaping – I’m not a crier — never have been — but damn it if I didn’t choke up during the Reaping. That little Prim, the way she trembles and cries out for her sister. The way Gale has to drag her, kicking and screaming, from the ceremony. The pity — and relief — in the eyes of the onlookers. The way Katniss’ voice breaks when she shouts, “I volunteer!” That whole scene was cinematic gold. 1. Jennifer Lawrence – There was a time, many moons ago, when I rooted for Hailee Steinfeld to earn the lead role of Katniss Everdeen. While I still think Hailee is adorable, having now seen Jennifer Lawrence so totally embody Katniss, I can’t imagine any other actress playing the part. Jennifer was subtle and controlled, yet she executed a flawless Katniss: brave and bold and bright, self-sufficient and pragmatic, so obviously passionate. I could not take my eyes off her, and I cannot wait to see how she helps Katniss evolve as the trilogy progresses onscreen. Looking for more on The Hunger Games movie? Check out these thoughtful reviews from fellow reader-writer-bloggers Sarah Enni, Caroline Richmond, Maggie Stiefvater, and Farrah Penn. Have you seen The Hunger Games yet? What did YOU love?